We’ve been hard at work since breaking ground on our new home at Queen St, and we are thrilled to be opening our doors for the first time on April 6. But the real party is around the corner: Join us April 13 and 14 for our Grand Opening weekend. No need to sign up - just show up when we open our doors. The Toronto Flagship isn’t just a store, it’s a hub for the outdoor community – and the next best thing to being outside. Opening weekend is April 13–14. Swing by while we whoop it up! Coffee, DJs, clinics all day for your next adventure - we’ve got you covered. 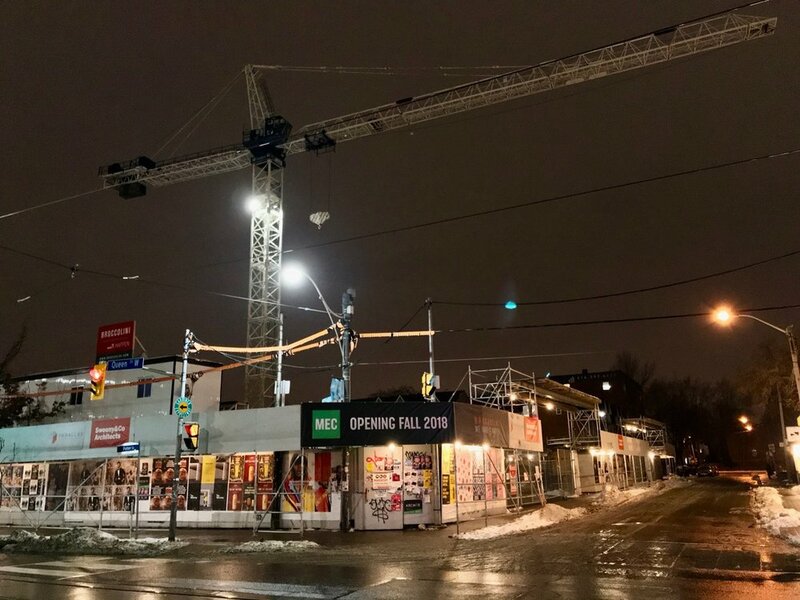 Mountain Equipment Co-op will move their Toronto store from their current location at 400 King Street West, to 300 Queen Street West. 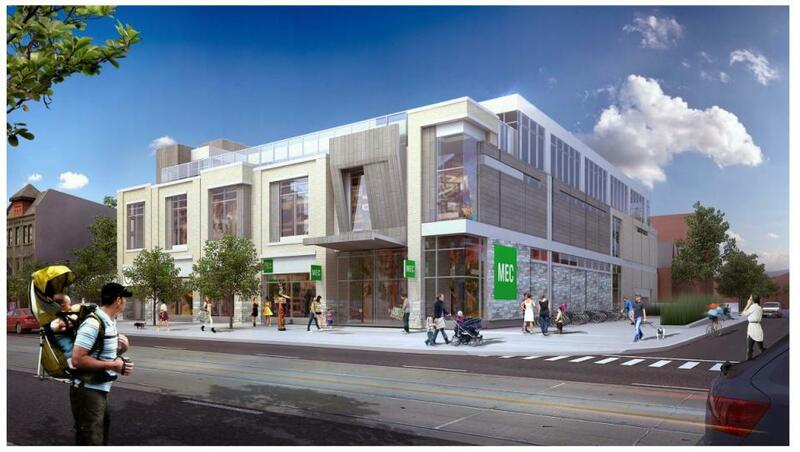 Set to open at the end of 2018, this flagship location will feature two floors of MEC shopping (with a third floor dedicated to office space) and three levels of underground parking. This roughly 40,000 square foot retail space will be contained in MEC's trademark green buildings utilizing minimal energy. We'll be sure to post updates as we learn more. Update: November 10th, 2018: The new location is starting to look like the MEC design we all know and love.